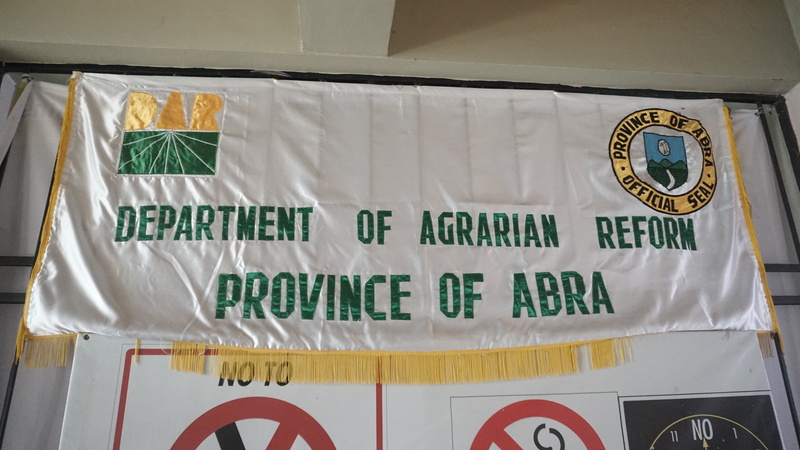 The Department of Agrarian Reform (DAR) has three major programs according to Provincial Agrarian Reform Provincial Officer II Penelope de Ausen. These are Land Tenure Services Program, Agrarian Legal Service Assistance, and the Agrarian Reform Beneficiaries Development Services Program. Under the land tenure services program is the reacquisition and distribution of government and private lands to landless farmers or those who own less than three hectares of agricultural lands. Another program of DAR is the Agrarian Reform Beneficiaries Development Services. Under the program, DAR provides livelihood trainings to farmer beneficiaries through the Agrarian Reform Beneficiaries Organizations (ARBOs) to sustain the productivity of the provided land. Aside from trainings, DAR coordinates with the Department of Social Welfare and Development in providing technology and seed capital under the Convergence on Livelihood Assistance for Agrarian Reform Beneficiaries Project. de Ausen said that they are also coordinating with DSWD for the Partnership Against Poverty where they capacitate the beneficiaries in producing nutritious food for their families. DAR also have the Community-Managed Potable Water Supply Sanitation and Hygiene Project targeting areas with agrarian reform beneficiaries who do not have potable drinking water. It aims to provide the beneficiaries access on low cost, safe, and potable drinking water by providing technology and materials for the construction of the water system. In collaboration with DOST and DTI, under the Village Level Farm Focus Enterprise Development, DAR focuses on skills development for the beneficiaries to increase their level of productivity. They also help on the improvement of the beneficiary’s processing center and product packaging. de Ausen said that they are currently implementing the Community-Managed Potable Water Supply Sanitation and Hygiene Project at Brgy. San Marcial, San Isidro and Brgy. Udangan,La Paz.